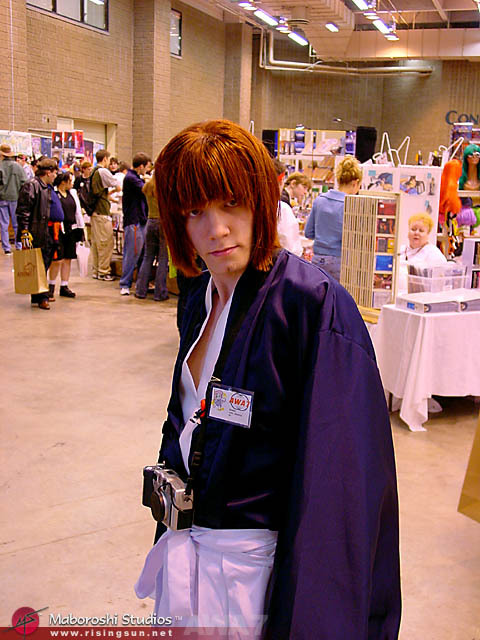 Myself as Kenshin at AWA7. 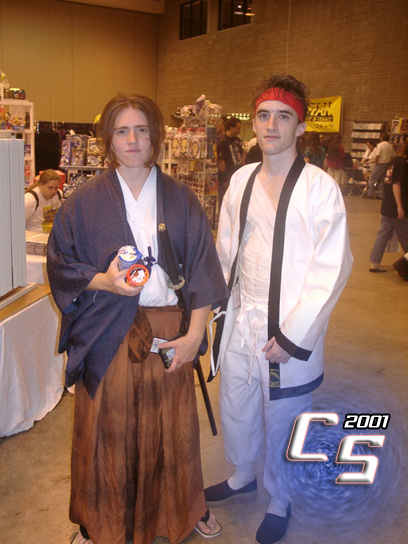 Brimo & myself as Kenshin and Sanosuke at AWA6. 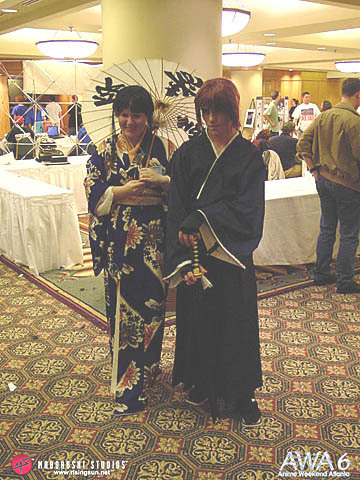 A nice Battousai and Tomoe at AWA6. 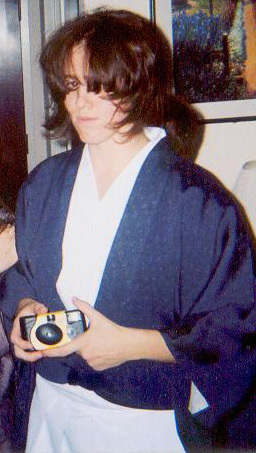 A good Kenshingumi from Kris & Mike's site..
*Photo courtesy of Kris & Mike.. 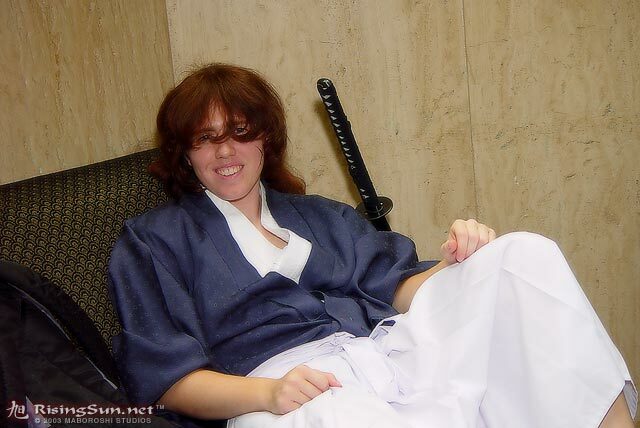 Myself as Kenshin at AWA9 relaxing in the lobby. 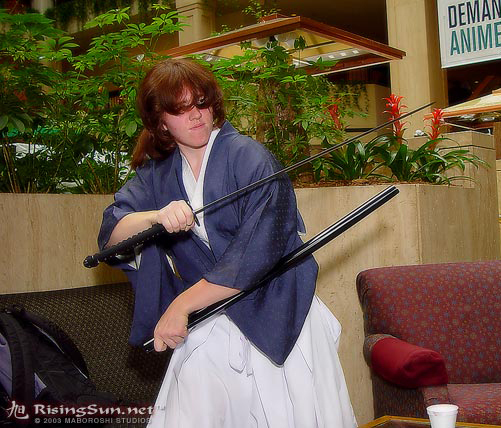 Myself as Kenshin at AWA9 striking a pose. 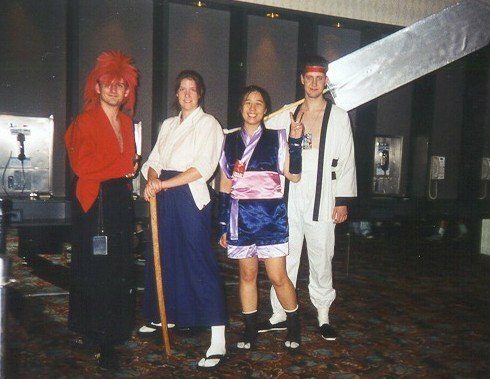 Got any cosplay pictures from the Rurouni Kenshin series? 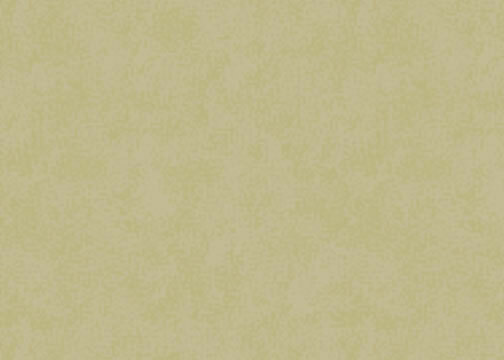 Email them to me to post up here!